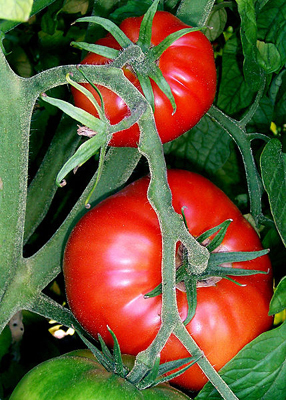 Plant produces heavy yields of large round red tomatoes all season long. Tomatoes are juicy, meaty, and very flavorful. Fantastic is "Indeterminate" Meaning it is a climbing type plant and needs extra staking. They also provide fruit over an extended period of time.